Creating a niche of Drum Handling Equipment such as Drum Lifter, Drum Tilter, Drum Handling Equipment, Drum Handler, Drum Trolley, Drum Lifting, Drum Lifting Equipment, Drum Handling, Lift Platform, Lifting Equipment, Pallets Trucks, Drum Handling Dollies, Drum Trolley, Drum Lifter, Drum Tilter, Drum Handler, Drum Lifting Equipment, Drum Handling Equipment, Materials Handling Equipment, Patel Drum Handling Equipment, Materials Handling Equipment and many more items at its best, with utmost quality IN Naroda G.I.D.C., Ahmedabad, Gujarat, India..
We are instrumental in offering Drum Handling which is used for moving drums from one place to another. These dollies are manufactured using superior quality raw material, which ensures maximum durability. Our dollies are offered to the clients in different heights. We also offer these dollies at cost-effective rates. 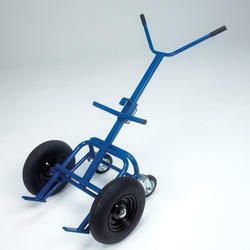 We offer a comprehensive range of Drum Trolley and three way trolleys. 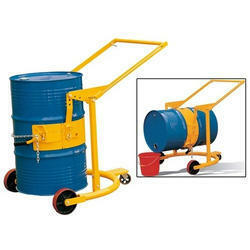 These drum trolleys are used for carrying closed containers and partially filled drum. Three way trolleys manufactured by us are available in varying load capacities as per the requirement of our clients. 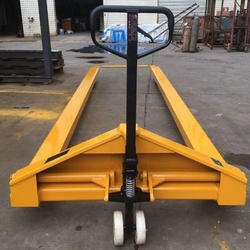 This trolley can be used in three ways as per load. 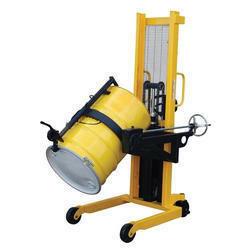 We have gained a great level of expertise in the field of manufacturing and selling Drum Lifting Equipment. 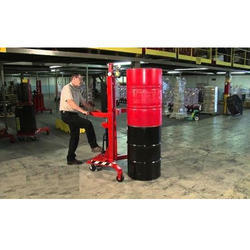 With the help of our excellent staff, we are able to manufacture finest quality of Drum Lifting Equipment. These are basically used for Bulk Material Handling Operations and Intensive Multi-shift Operations. They are known for their durability, pollution free functioning, capacity of bearing heavy loads, safe operations and resistance to rust, scratches or wear. We manufacture a highly compact durable range of Drum Lifting for the placement of closed containers and partially filled drums. 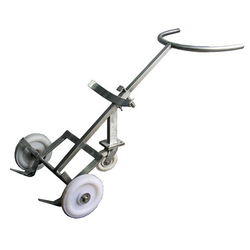 The trolley consists of an internal wheel that allows it to move freely with greater ease. 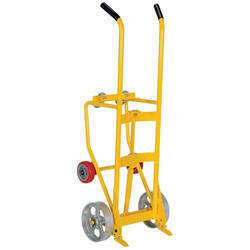 These trolleys are available with us in varying capacities as per the requirement of the customers. Moreover its U shaped handle makes it convenient to turn it at any angle with ease. Manufacturer & exporter of drum tilting machine, drum lifting & tilter. 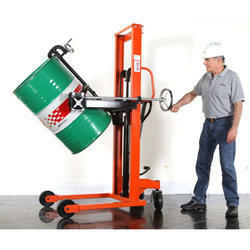 Also offering pallet truck, scissor lifts, product catalog download, drum handling equipment, hydraulic stacker. 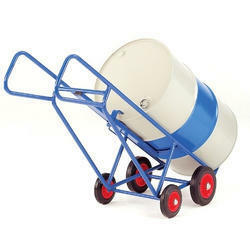 By keeping track with the market development, we are offering optimum quality Drum Handling Equipment. Our provided equipment is manufactured by a team of our adept professionals utilizing quality approved raw material and advanced technology. Our offered equipment is widely appreciated by our prestigious clients for its precise design and durability. 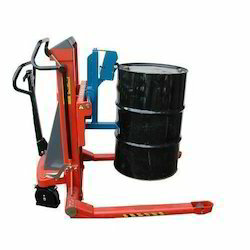 Suitable to steel drum or plastic drum lifting, shifting, tilting, rotate 360 degree, the offered equipment can also be availed in various sizes, designs and other related specifications.